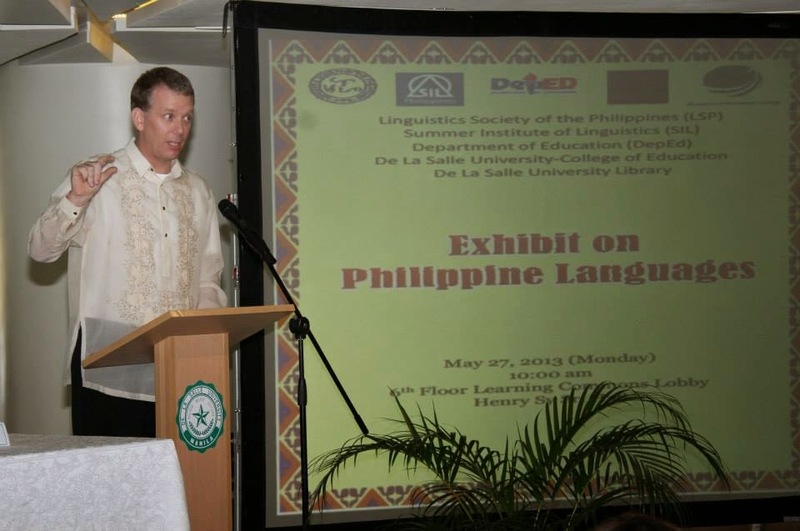 On the 27th of May 2013, the Learning Commons joined the Linguistics Society of the Philippines (LSP), Summer Institute of Linguistics (SIL), Department of Education (DepEd) and the De La Salle University – College of Education, as they re-affirmed their commitment in promoting sustainable language development in the country by way of opening an exhibit on Philippine Languages. Mr. Jason Griffiths, the Director of SIL, introduced the nationwide scope of this fascinating exhibit, explaining how each color represents our language vitality. In the Philippines, the number of individual languages listed is 185. Of these, 181 are living and 4 are already extinct. He further noted that of the living languages, 43 are institutional, 70 are developing, 45 are vigorous, 13 are in trouble, and 10 are dying. He also encouraged the community to help spread the word in pursuing language and culture research. Apart from the formal opening of the exhibit, the Learning Commons has also forged its partnership with the Linguistics Society of the Philippines (LSP) in a Memorandum of Agreement (MOA) signing on the digitization of its information materials. Present to sign the MOA are Dr. Leonila C. Abella, Associate Vice President for Information Resource Management and Dr. Rochelle Irene G. Lucas, Vice Dean, College of Education and President, LSP. Dr. Lucas, who spearheaded the event, believes that the exhibition of the great research on the Philippine languages and culture at the Learning Commons is a good way to celebrate the diversity of our vernacular and raise awareness on the variety of our lexicon especially among the Lasallian community. The exhibit runs until 8 June 2013. A very distinct call and shout from various upperclassmen as they welcome the newest members of the Lasallian community, the Froshies. Every year, thousands of Archers enter the remarkable halls of the De La Salle University. After the exhausting and mind-boggling DLSU College Assessment Test (DCAT), the successful examinees join the league of the future Lasallian achievers. But before each academic year starts, they all go through an LPEP. Lasallian Personal Effectiveness Program (LPEP) is a program designed for the freshmen to ease their transition to the University life and provide them a better understanding of the Lasallian culture and values. 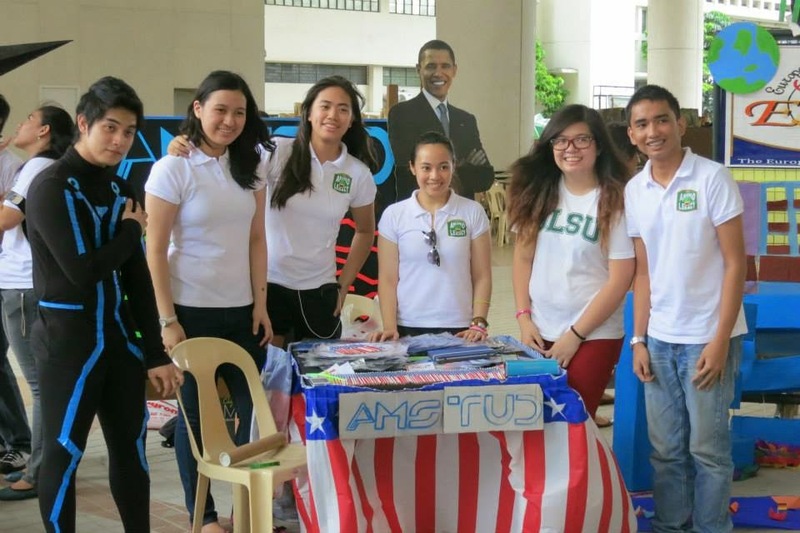 For the LPEP 2013 held last May 16, the American Corner Manila joined the newly established student organization, the Organization for American Studies (AMSTUD), in welcoming the Froshies to La Salle. 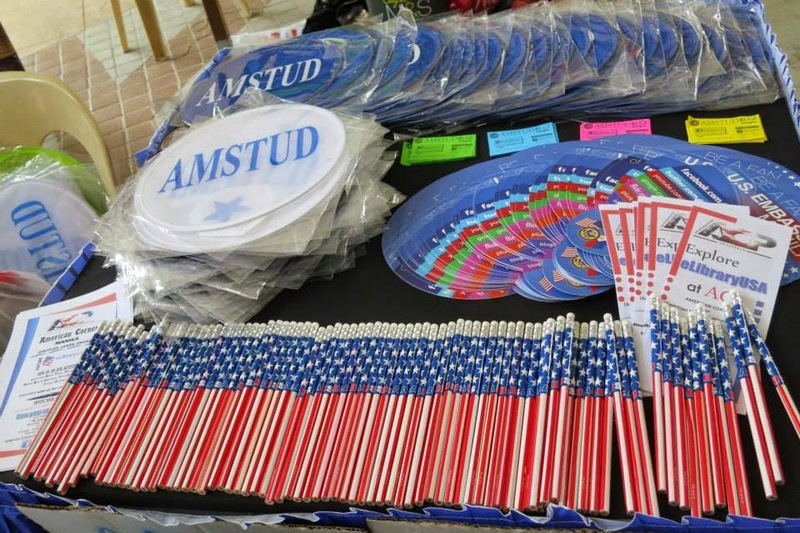 Prepping the booth with cool give-aways, such as customized fans and patriotic pencils, has appealed most to the students. All geared up to help promote the booth is Ervinn Jorald Silva, the Vice President for Human Relations of the AMSTUD, who dressed up like Tron (based on the 2010 American science fiction film released by Walt Disney Pictures). The mini-booth aimed to acquaint the froshies to AMSTUD’s cool team as well as to the vibrant American Corner at the Learning Commons. 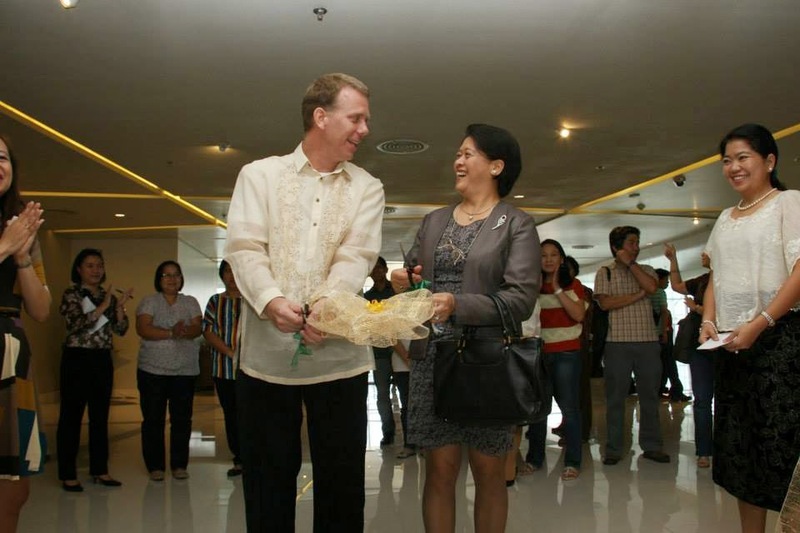 The Peque Gallaga Collection was formally turned over to De La Salle University in a short ceremony held on April 29, 2013 at the 13th floor of The Learning Commons. Mr. Maurice Ruiz de Luzuriaga Gallaga, popularly known as Peque Gallaga, a Lasallian and multi-awarded filmmaker, claimed of coming to full circle by donating his prized collection to the DLSU Library. According to him, this is his way of going back and giving back to where everything started, i.e., to the Library, being his source of inspiration and passion. 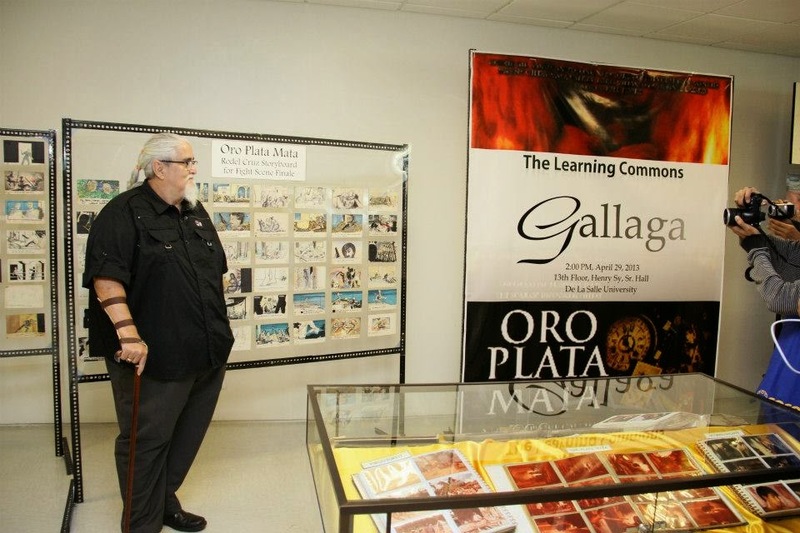 The ceremony provided a background to the collection and a very entertaining dramatic reading of select scenes in Gallaga’s acclaimed movie Oro, Plata, Mata by the Harlequin Theater Guild was presented. The signing of a memorandum of agreement by Mr. Gallaga, Br. Bernard Oca FSC, Vice Chancellor for Lasallian Mission, and Dr. Dominador Bombongan, Jr., Dean of College of Liberal Arts was also held. The ceremony was attended by family and friends of Peque Gallaga, Co-director Lore Reyes, Assistant Director Jo Macasa and some members of DLSU community.